Jacob Obrecht(1457/1458-1505), Dutch composer of the Renaissance. 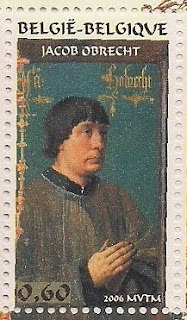 He was the most famous composer of masses in Europe in the late 15th century. His compositions the masses are numerous(29 known) and the most distinguished. All are based on preexisting material, which ranges from Gregorian chant to popular tunes to melodies drawn from other composers' motets or chansons. Nadezhda Obukhova(1886-1961), Russian mezzo-soprano. 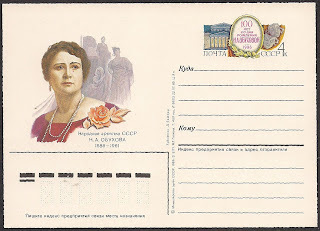 She was awarded the title People's Artist of the USSR in 1937. She studied at the Moscow Conservatory, made her debut in 1916 at Bolshoi Theater, quickly she became a popular singer. 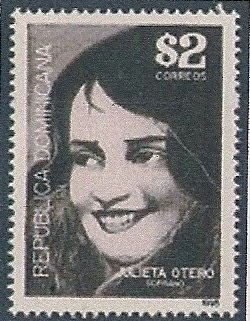 She was the performer in the first radio concert in the Soviet Union in 1922. 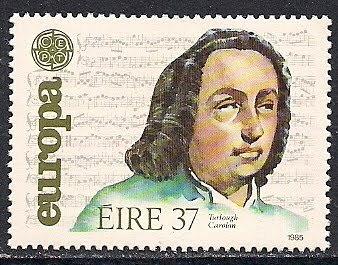 Torlogh O'Carolan(1670-1738), early Irish harp composer and singer whose great fame is due to his gift for melodic composition. He was the last great Irish Harp-composer and is considered by many to be Ireland's national composer. 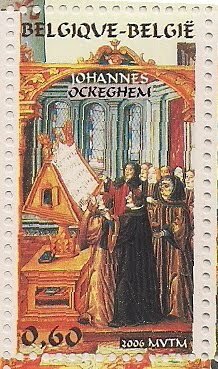 Johannes Ockegham(1410/or 1425 - 1497), the most famous composer of Franco-Flemish composer of the last half of 15th century. 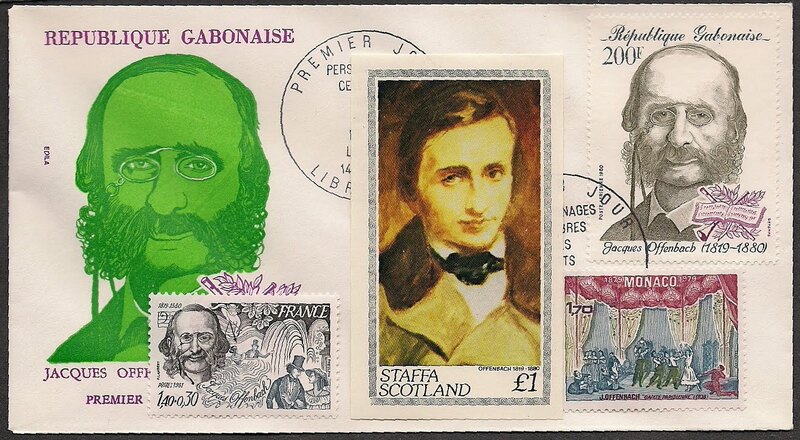 In addition to be a renowned composer, he was also a honored singer, choirmaster and teacher. 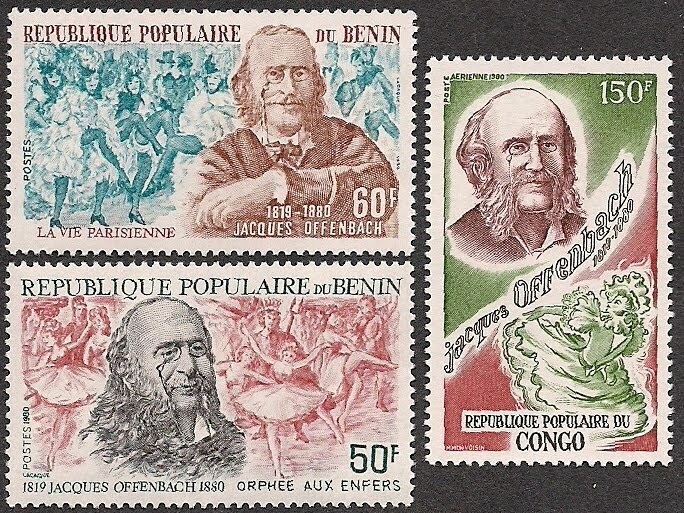 Jacques Offenbach(1819-1880), German/French composer, born in Germany but settled and famed in Paris, played cello with his brother and sister as a trio in local tervans, later played cello in Paris theaters, being called "The Paganini of Cello", taking composition lessons from Halevy and started compositing operettas, gaining popularity throughout central Europe. He composed mainly operettas(Orhee aux enfers, Les contes d'Hoffmann.. etc). 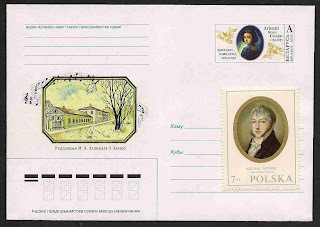 Michal Oginski(1765-1833), Polish statemen and composer, best known for his polonaise "Farewell to the Fatherland". Being a well-known composer, he was fond of Italian and French operas, in addition he played violin, chavichord and balalaika. 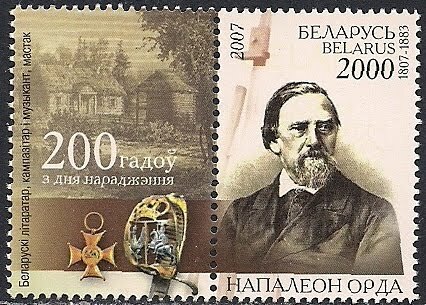 He composed piano pieces - Polonaise, marzurkas, romances and waltzes. David Oistrakh(1908-1974), Russian(Ukrainian) violinist, studied at the Odessa Conservatory, made his debut in Leningrad in 1928, won first prize in Ukrainian contest(1930), All-Soviet contest(1935), second prize in the Wieniawski Contest(1935), and first prize in the Ysaye Contest in Brussels in 1937. Made debuts in London and Paris in 1953, and in New York in 1955. 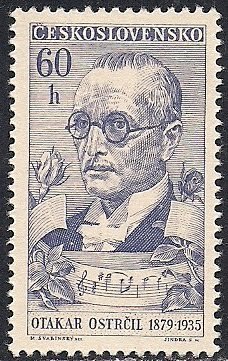 Was the dedicatee and first performer of both Shostakovich violin concertos(1955 & 1967). 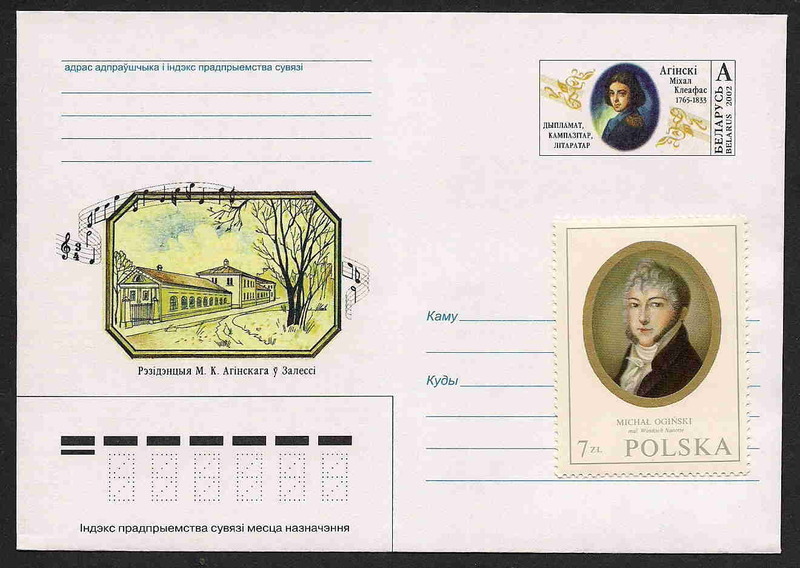 Taught at the Moscow Conservatory from 1934. 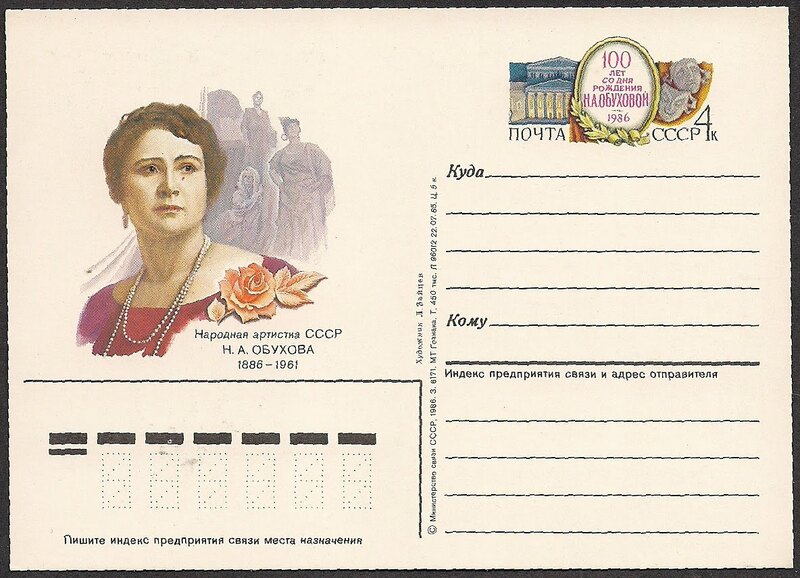 Received the Lenin Prize in 1960. 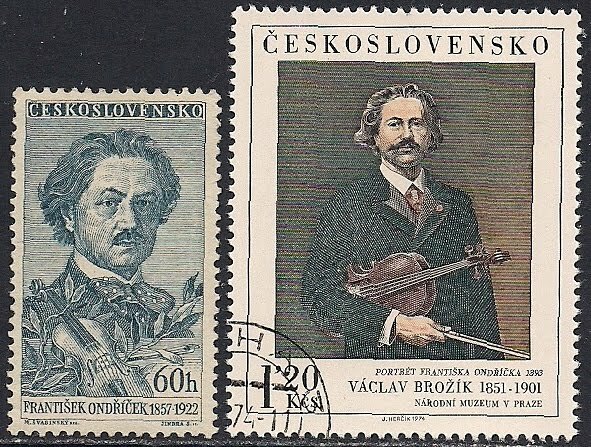 Frantisek Ondricek(1857-1922), Czech violinist and composer, studied at the Prague Conservatory, gave first performance on Dvorak's violin concerto(1883), taught at the New Vienna Conservatory. He composed violin pieces. Napoleon Orda(1807-1883), Polish-Lithuanian pianist, composer and artist, due to his political involement, he left his home country and settled in Paris in 1833. 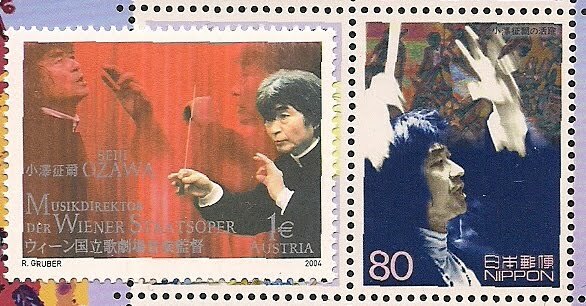 He met Chopin and studied with him and also studied with Liszt. 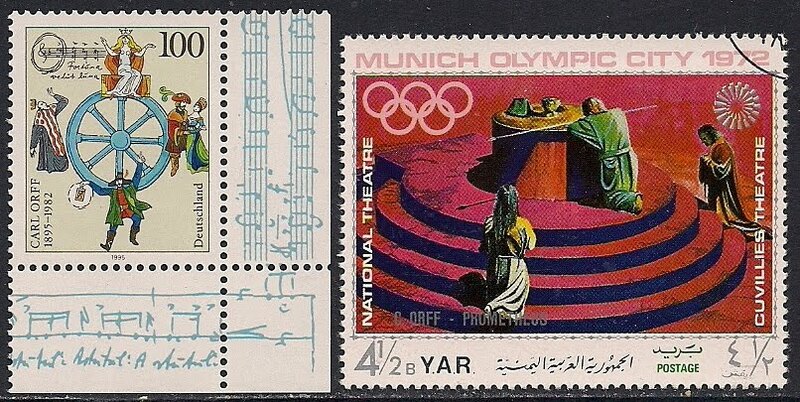 He composed marzurkas, waltzes a,d polonaises. Carl Orff(1895-1982), German composer, studied at the Munich Academy of Music; held the position as Kapellmeister in Munich and Darmstadt. Orff's interest in elementry music was paralled to his works in the theater. 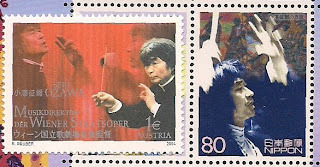 He composed stage music(Carmina Burana), symphonies, operas, and cantatas. 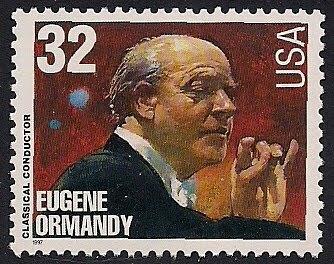 Eugene Ormandy(1899-1985), Hungarian/American conductor, born in Hungary, studied at the Budapest Royal Academy, then taught violin there. In 1920 he moved to New York and started conducting career, conducted Capital Orcheatra, Mineapolis Symphony, then 1938 appointed music director of Philadelphia Orchestra and held the position until his death in 1985. 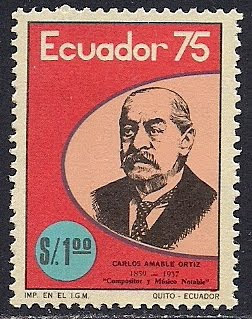 Carlos Amable Ortiz (1859-1937), Ecuadorian composer, violinist and pianist, studied at the National Conservatory in Quito, the president of Ecuador gave him scholarship to continue to study at the Milan Conservatory. Returning to Ecuador he founded the Ecuadorian Estudaintin and served as the director of army band. 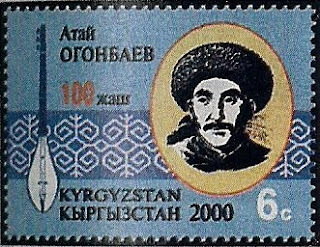 He composed over 200 works including dances, marzurkas, tangoes and songs. 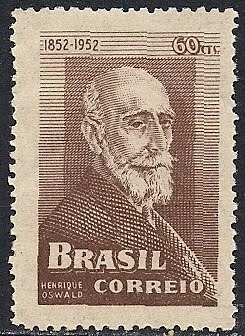 Henrique Oswald(1852-1931), Brazilian composer, studied in Florence. Returning to Brazil, he was appointed director of the National Institute of Music. 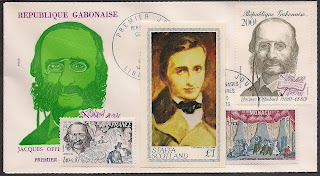 He composed 3 operas, one symphony and chamber music. 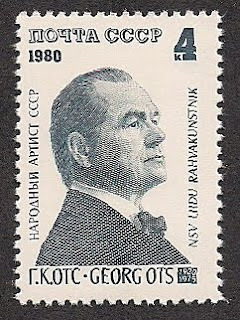 Georg Ots(1920-1975), Estonian operatic tenor, studied at the conservatory in Tallinn, also became a member of the Chorus at the Estonia Theater there. He made his opera debut in a tiny part in the Eugene Onegin(1944), he soon became one of the most revered singers with this opera company with whom he sang from 1951 until his death in 1975. He also sang elsewhere in Soviet Union, being especially popular at the Bolshoi Theater. 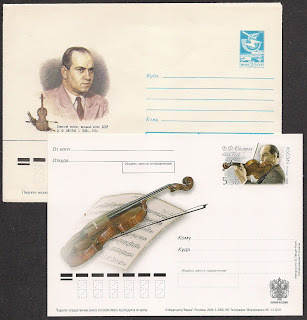 He was awarded title "People's Artist of the USSR".